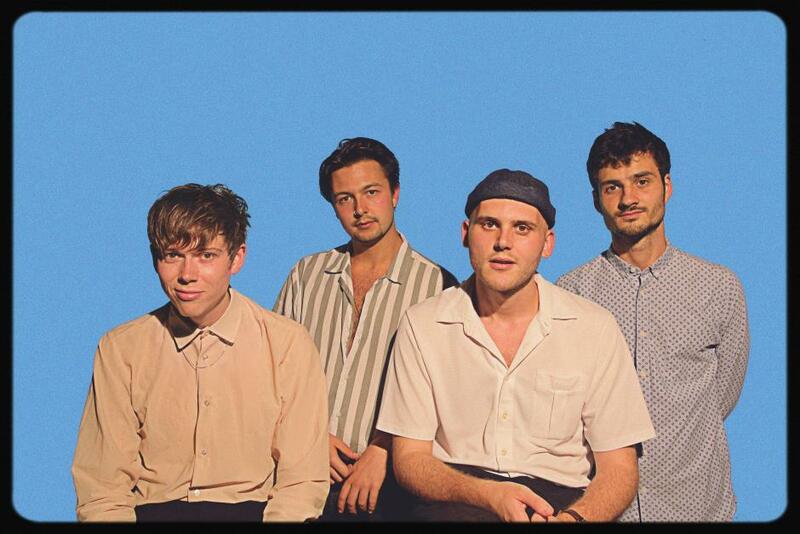 London quartet Honey Moon just released their Four More From... Honey Moon EP via Heist or Hit and we intend to celebrate with them in London, tonight. They've been called crooners, doo-woppers and pure 50s pop escapism. We think they're just wonderful. The harmonies are heavenly, the outlook is unashamedly sunny, the guitars are full of flatwound warmth, the rhythm section is cheeky is hell and those vocals are an absolutely sublime cocktail of flawless falsetto and earnest depth of emotion. Leave your cynicism at the door and drift away. It's hard to feel local in London a lot of the time, but South London's had a pretty good run lately. Matt Maltese, Shame, Puma Blue - people like that. We're recently moved into a new studio space and are soaking up the last of the summer wine. Our new EP just out so we're super hyped to finally release that. And we're heading out on tour with Her's in October/ November, and cooking up some fresh hits before the year's out!